Undoubtedly, every child across America deserves to feel safe in school. Schools are supposed to be welcoming and non-violent zones, but unfortunately, that has not been the case lately. The number of school shootings and gang-related violence is continuously rising and there is very little being done to stop it. On December 11th, a 14-year-old student was slashed in the head by another student at Benjamin N. Cardozo High School in Bayside. The school followed protocol and proceeded to have a two hour lock-down. However, the slasher had already left the school and Cardozo school officials did not tell neighboring schools about the incident. 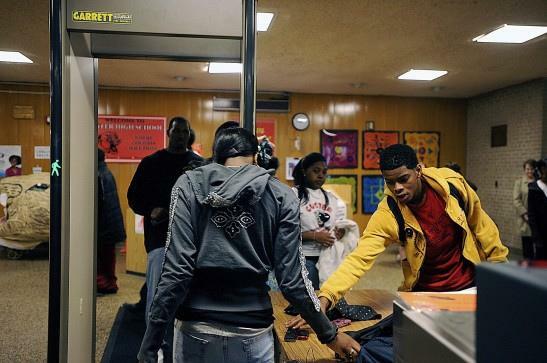 Caption: New York City Public School safety measures comprise of scanning, lockdowns and shelter-ins. New York City Public School safety measures comprise of scanning, lock-downs and shelter-ins. However, all of these security measures have not always protected students. According to the New York Times, at the beginning of the 2018 school year, New York City Public Schools implemented a pilot program at a group of Bronx schools to turn school safety officers into “beat” cops. The school safety agents will be trained to discuss conflict between students and meet with the principal to discuss any suspicious behavior. Mayor Bill De Blasio and the Department of Education are working together to make public schools safer for kids all over the city. The question is, will discussing the conflict actually help solve the problems between students? Hi, my name is Parsha and I write for the tech section. I am currently a senior in the Web Design program. I’ve always been intrigued by how technology works and I want to become a software engineer because of my interest in tech. I hope I can share fascinating tech-related info with you as the school year goes on.